Professional Speech Writers for Hire? Speech Writers - For Any Occasion! Take the stress out of speech writing....and have our team of professional writers create a speech for your corporate presentation, wedding toast, or any other occasion -- enabling you to deliver with clarity,confidence, and style. 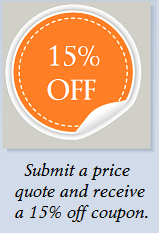 Click here for your no obligation price quote! We have speech writers working around the clock -- ready to complete your speech by any deadline you request! Our speech writers will let you specify your specific delivery needs. Whether you want to inspire, motivate, move, entertain, or educate your audience, our team can help you succeed. (If you are ordering from outside of the U.S./Canada, please dial 1-321-251-6977. EZSpeechWriters.Com provides users with personalized speeches for professional, social, and other occasions. We do not collect personal data from site visitors without formally requesting such information on designated forms. Maintaining the privacy of our visitors represents a company priority and as such, no technologies [i.e. "cookies"] are in place to capture information about those who utilize our service. EZSpeechWriters.Com will neither sell nor share your information with third parties. While EZSpeechWriters.Com, Inc. does not offer any refunds once their work has been completed, you may request that they revise your speech if it fails to meet your expectations. Your notice of your dissatisfaction must be received within 30 calendar days of receiving your speech. 1. An individualized electronic outline of the speech with easy-to-edit sections allowing you to personally include your own last-minute additional perspectives, emotions, experiences, and views - FREE! 2. A professional performance manual entitled "5 EZ Steps to a Successful Speech" - FREE! Standard delivery time is 2-3 business days. Rush service available. PRICE QUOTE AND FREE SAMPLE! Speech writers for every speech topic! DON'T SEE YOUR SPEECH TOPIC? Click Here to tell us about your topic for a FREE price quote!